To submit Call for Artists, Job Opening, Internship, Board and/or Volunteer Opportunity for your organization, please CLICK HERE. This is not an events calendar. *Note: You MUST be a registered Partner to submit opportunity. (If you are not a registered Partner, please register to become a Partner (it’s FREE and easy!). Lyme Academy of Fine Arts is seeking a Director for its Continuing Education programs and oversight of its campus. The Director of Lyme Academy of Fine Arts is responsible for developing and managing new and ongoing academic initiatives including the Continuing Education and the Pre-College Programs as well as potential exhibitions, workshops, lectures, readings, film series and other arts events open to the public. Lyme Academy of Fine Arts is relaunching its programs with renewed commitment to the fine arts and community engagement. The successful Director will increase visibility of the school and create new programs that emphasize the history and mission of Lyme Academy of Fine Arts. CORE DUTIES: Work closely with the Academy’s Board of Trustees to determine strategic initiatives and investments. Oversee general operations of the Lyme Academy Campus. Program and Event Planning and Implementation: Oversee planning, implementation, marketing and publicity for all courses, programs, and events at Lyme Academy of Fine Arts. Manage course scheduling, faculty and speaker contracts and recruitment. Develop and maintain publicity budgets for courses, programs, and events. Marketing and Publicity: Establish and maintain marketing budget for website. Establish the production schedule for all publicity including calendar postings, event listings, ads, posters, event pages on the web, and related electronic and printed publicity materials. Oversee the development of a presence on Facebook, Twitter and other Social Media. Establish and oversee the creation and distribution of an electronic newsletter, event notices and all printed collateral for Lyme Academy of Fine Arts. For more information about the position, and the Academy please visit: www.lymeacademy.org. A letter of interest and resumé/CV should be emailed to info@lymeacademy.org. MPMRC seeks a highly experienced, creative, culturally sensitive leader to refocus the museum and rebuild its operation to a lively and sustainable level. Twenty-one years old, the museum features vivid permanent exhibitions in a stunning facility with ample space for temporary exhibits, diverse educational programs and special events, and earned-revenue generation. It has been in a period of retrenchment after a significant decline in the revenue that subsidizes its operation. It is ready for an ambitious, entrepreneurial director to take advantage of its capability, and engage a large, diverse audience in matchless encounters with the present and past of the region’s original people. Responsibilities include: Coordinating all group and boat tours; serving as a liaison with boat operator, tour group, restaurants, historic partner sites and tour guides on the day of tours; building our group tour business by identifying and selling prospects, building relationship with tour operators and other tour groups and maintaining relationships with group leaders. 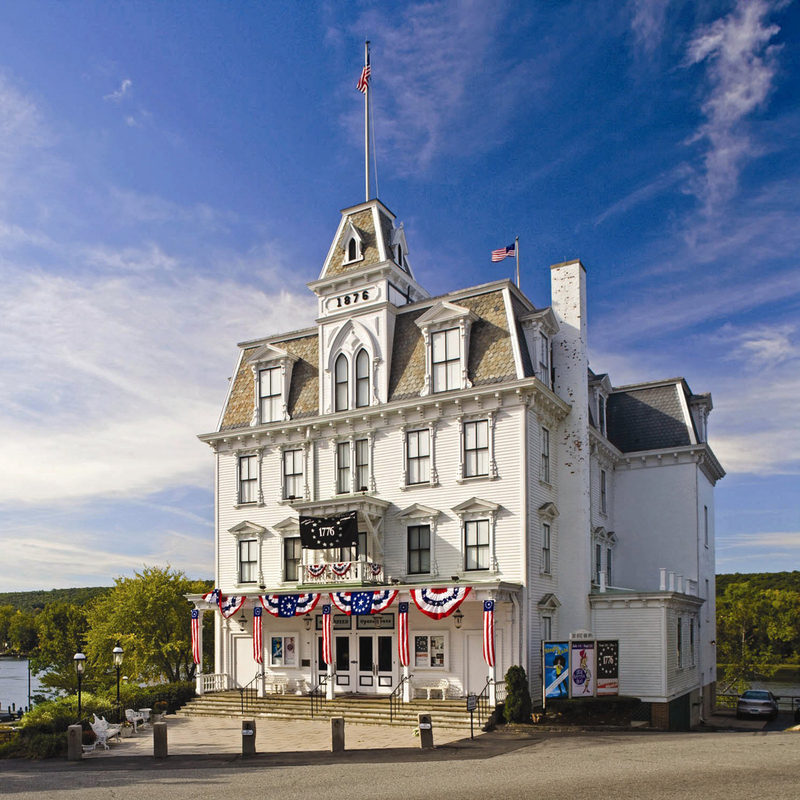 Goodspeed Musicals, a two time Tony Award winning LORT theater in East Haddam, CT, seeks a full-time Assistant to the Producer. Duties include managing day to day operations of the producer’s office, supporting the Producer’s work on productions at The Goodspeed and The Terris Theatre, and assisting Goodspeed’s many new work development programs including the Johnny Mercer Writers Colony and the Festival of New Musicals. The successful candidate will be able to handle competing priorities, have strong written and spoken communication skills, strong computer skills, be pro-active and be a team player. Salary is DOE. For the full job posting, please visit www.goodspeed.org/about/career-opportunities. AUDIO ENGINEER (TERRIS THEATRE) Goodspeed Musicals seeks an experienced Audio Engineer for our 2019 Norma Terris Theatre season. Preferred candidates will have experience mixing live theatre with 16-24 channels of wireless mics, be comfortable with Yamaha digital consoles, and have experience with rigging and maintenance of lavalier mics. All applicants must be available April 23, 2019 to December 13, 2019, and be comfortable around and with large dogs and be free of any allergies to dogs. Hourly plus overtime, and applicants have the possibility to be eligible for the Goodspeed Musicals Andrew Isen $5,000 prize. COSTUME RENTAL ASSISTANT Goodspeed Musicals is immediately seeking to hire a part time Costume Rental Assistant to work at our Cynthia Kellogg Barrington Costume Center over the summer. Responsibilities include assisting our Costume Rental team with the administrative and physical responsibilities of renting and maintaining the costume collection. Seeking candidates who are fast paced, quick learners, and confident working in Microsoft Word and Excel, can lift at least 40 lbs, able to climb 2 flights of stairs and comfortable working at heights up to 12 feet. Hourly plus overtime and preferred candidates would have a good general knowledge of period clothing, costumes, and fashion. To apply, submit cover letter, resume, availability and list of three references to jobs@goodspeed.org. Goodspeed Musicals is an equal opportunity employer dedicated to building a culturally diverse and equitable environment, and strongly encourages applications from people of color and women. Stonington Historical Society has an opening for a part-time Business Manager. The applicant will have experience in nonprofit accounting/bookkeeping, QuickBooks, non-profit policy and procedures, and MS Office products (especially Excel). Hours are 12 – 15 per week and can be flexible. The Stonington Historical Society operates two museums seasonally, a library and research center year round, and conducts numerous fundraising initiatives and events that include events, annual appeals, grant applications, and more. Please contact Elizabeth Wood with a resume or summary of relevant experiences at ewood@stoningtonhistory.org. No phone calls please. The CLHO Executive Director serves as the chief executive of the organization, providing leadership, vision and direction in managing daily operations consistent with the mission, strategic plan and governance policies established by the Board of Directors, including priorities jointly shared by CLHO and CTH. The Executive Director is a champion, convener and catalyst for advancing CLHO’s mission to unite, support and promote historical interests and activities statewide and to strengthen and empower the network of those who promote and safeguard Connecticut’s cultural heritage. Deadline to Apply – April 6. For more information, click HERE. Spend a summer on the Connecticut shoreline at the O’Neill with hundreds of industry professionals! Summer interns and staff make a season of developing new plays, musicals, cabaret acts, and puppet theater possible. Currently hiring the following staff positions: Company Manager, Associate Company Managers, Company Management Assistant, Assistant Production Manager, Audio Supervisor, Master Electrician, Assistant Master Electrician, Assistant Audio Supervisor, Pub Manager, Box Office & House Manager, Kitchen Assistants, Housekeepers, Van Drivers, Bartenders. Please see our website; https://www.theoneill.org/work-with-us for full descriptions of each position and information about how to apply. The Kate is looking for enthusiastic individuals to join our Bar/Concessions staff. This position is part-time/as needed. Scheduling is completed in month blocks at least 2 weeks in advance and is based on the Kate’s production/show schedule. This position requires evenings/weekends but has great flexibility in scheduling. Shifts are typically 3-5 hours. Bar/Concessions Staff is responsible for preparing Bar/Concessions for shows, keep the space clean, Point of Sales system/handling money, and restocking.